With a clear conscience – Sustainability means accepting economic, ecological, and social responsibility. The highly efficient use of our energy is crucial for our future generations. How we act sustainably should focus on energy savings and increased energy efficiency. Only in this manner can we achieve our goal for climate protection. 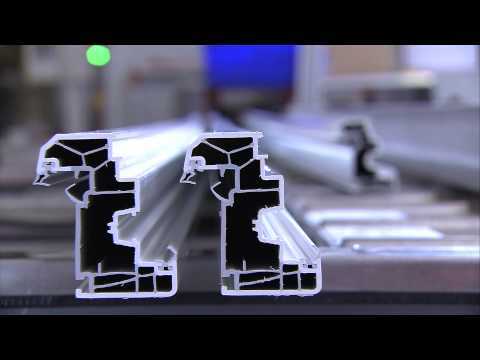 The contributions from TROCAL take the form of its energy efficient window systems, lead free stabilisers in virgin material, and intelligent recycling concepts. TROCAL PVC-U window profiles fulfil all expectations of thermal insulation and hence energy savings. The facts: About 300 million litres of fuel oil are saved by out fifteen million window units produced by our customers. The consequence is that about 850 million kilograms less of CO2 escapes into the atmosphere. This is equivalent to the quantity absorbed by a forested area the size of 90,000 football fields! Fossil fuels are finite, and this is felt by everyone paying the prices that have been rising constantly over the last few years. Our products help to protect these valuable resources. As early as 2004, we did away with the heavy metal lead in our virgin material for all of our window systems. Instead, we use stabilisers based on friendlier calcium and zinc, eliminating the annual costs and extraction of 6500 tonnes of lead – or more than 160 truck loads. Nevertheless, all of the classical and economic advantages of PVC-U remain preserved: long durability, low maintenance, high cost effectiveness, and extremely good thermal insulation. A further step towards sustainability in our dealings takes the form of our permanently closed material cycle. As a founding member of the national recycling initiative Rewindo, we are obliged to recycle old windows. These recycled old windows generate 90% less greenhouse emissions on average than PVC-U produced by conventional means. This recycled material is often a constituent of new window profiles. This knowhow not only represents a competitive advantage. it also stands for the responsible dealings at TROCAL. We want to get everything out of our windows. For this reason, our engineers are working on the latest product generations with the aim of improving their technical properties with the reduced use of material. Energy efficiency and competitiveness are united in intelligent chamber systems and static design feastures. We direct all of our energies towards producing perfected system solutions – and thrilling our partner companies and customers. They can then choose our window profiles with a clear conscience. What do profine products do for the environment? Why is sustainable business management so significant?